This gripping thriller starts off with retired FBI profiler Frank Sorello trying to keep calm as he discovers the second novel written by Gary Jones, a thriller novelist, carries details perhaps only the killer or someone in a select few within the FBI could have known. Frank has enjoyed some outstanding success in his career but he could not bring the murderer who killed his wife to justice and subsequently retired. His obsession with Gary Jones started when he read his first book but Frank’s assertions of Jones being the killer was seen as delusional ranting by a bereaved husband but now there are just too many circumstantial coincidences to ignore his hunch. I loved reading this thriller and am a huge fan of serial killer fiction, I enjoyed the original premise of the flawed FBI agent and the brilliant but deranged killer he chases in this cat and mouse game. The story is written so that the opening chapters up to and including chapter six sets the present day scene and chapters from The Taking by Gary Jones, which I found quite an original idea in which to introduce the killer. From chapter seven onwards the chapters alternate to tell us the history of how a serial killer is made and Frank’s progress in trying to hunt him. 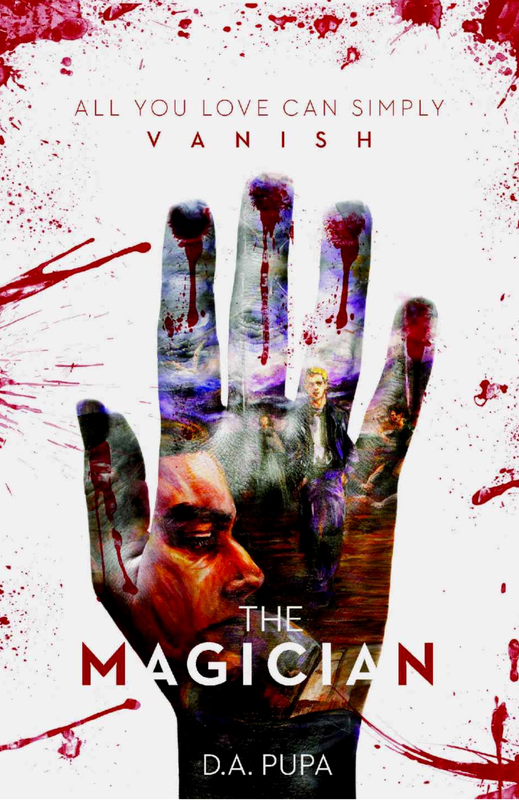 There are some really exciting sequences as you would expect as the FBI close in on their quarry but for me the journey a man takes to become The Magician was the most compelling part of this outstanding read. I thoroughly enjoyed this and would have awarded it five stars if for not the typos. A good proofread and edit would make this a seriously compelling contender for my personal best thriller of the year. Previous Previous post: Do I have to conform to a foreign culture? Next Next post: Film and TV Adaptations: To Watch Or Not To Watch? Sounds like one of those books that are creepy but you can’t put it down. When was it published?